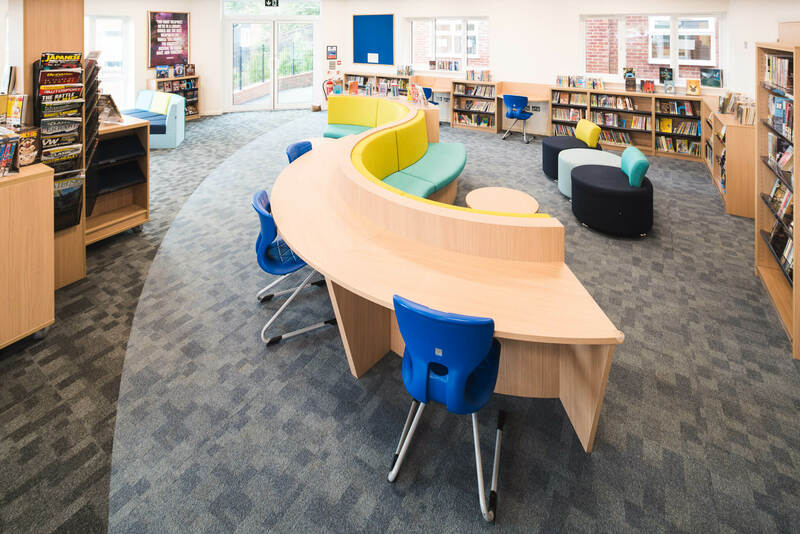 More House School approached Pinnacle Furniture to design their newly built library. 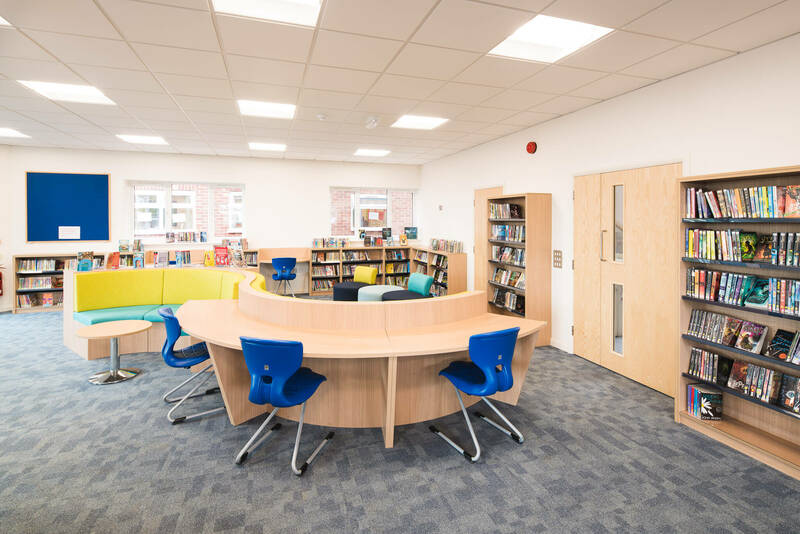 The client is a specialist school for boys with learning impairments which meant that the design team had to consider many factors when designing the space. More House School based in Surrey, has been educating boys with learning and language difficulties for 79 years. 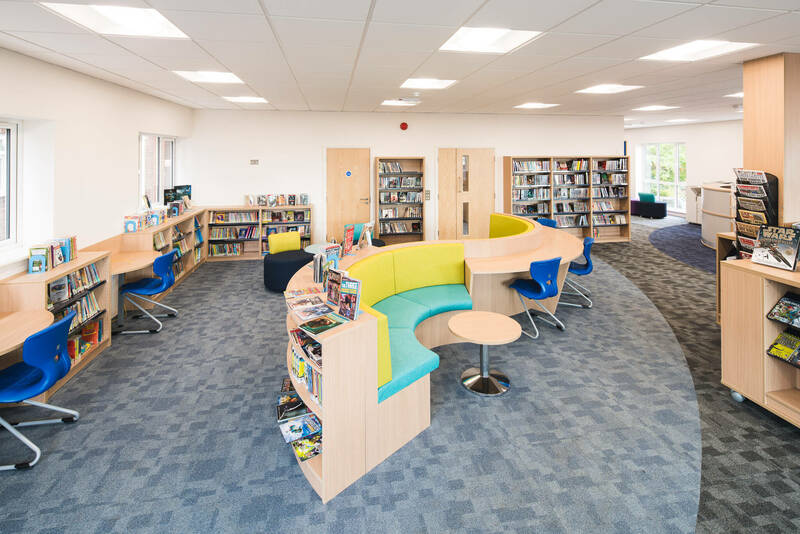 The client appointed Pinnacle to design the library ensuring it could be used for a multitude of activities such as facilitating a class, individual studying, author presentations, group and individual reading. The room was a large open space with floor to ceiling windows with an amazing view, which the client particularly wanted the design to highlight. 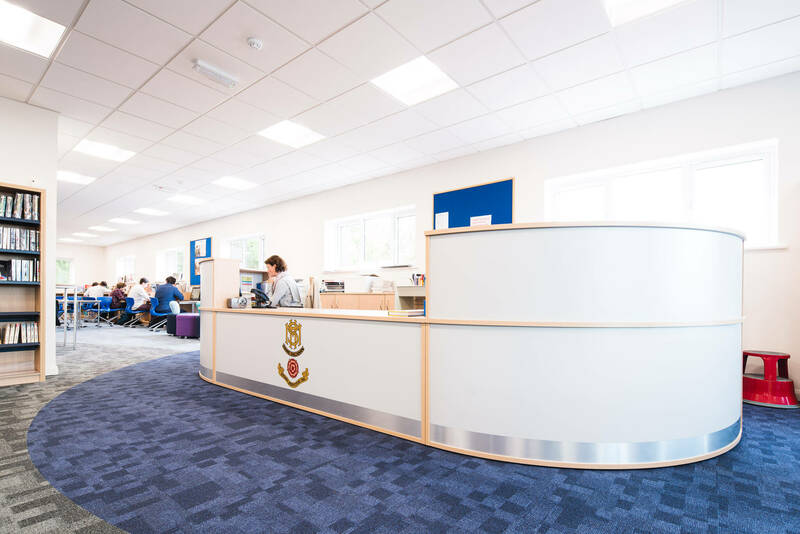 In addition, the school wanted to incorporate a centralised book return system, laptop storage, charging points and a standalone book scanning counter. 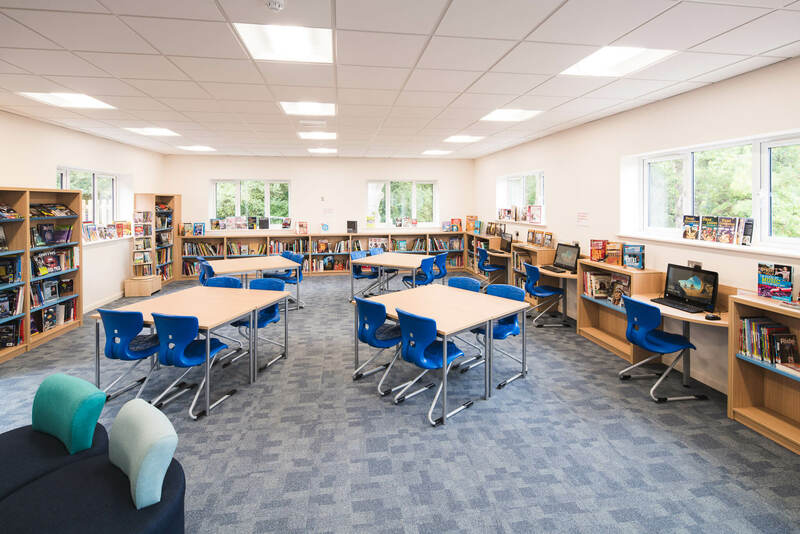 Due to the challenges that the students face, each aspect had to be well considered to ensure that the room was engaging, calm and functional. To help the individuals navigate their way around the room we incorporated a variety of visual aids. 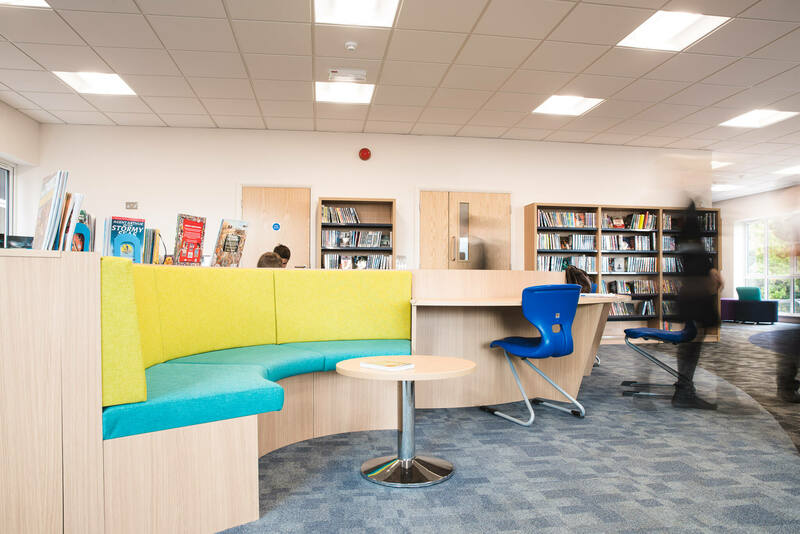 Pinnacle supplied Quattro library units in the centre of the space and against the perimeter walls. IT desking was installed for computer use and charging points were fitted in each booth. We provided Flexitables and blue Ergoflex Z chairs, which are extremely durable and flex to allow movement. 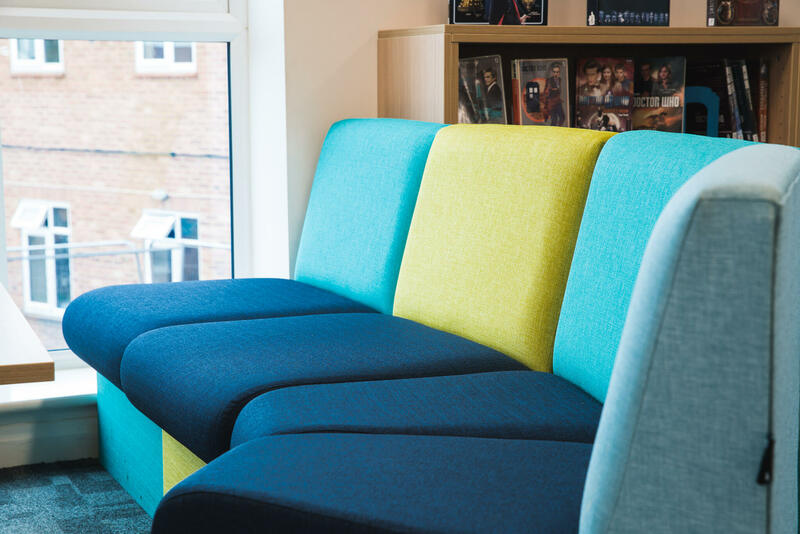 Sculpt Screen Seating in turquoise and lime was supplied in the centre and completed with Myriad coffee tables. 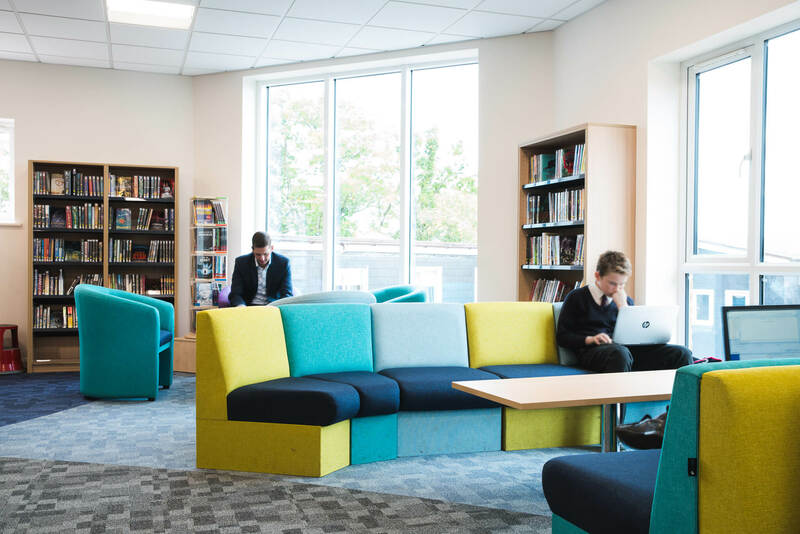 As well as soft seating, the Sculpt unit includes desking and shelving for books. We added Cosmo seating, Aspect modular seating and classic tub chairs in vibrant colours. 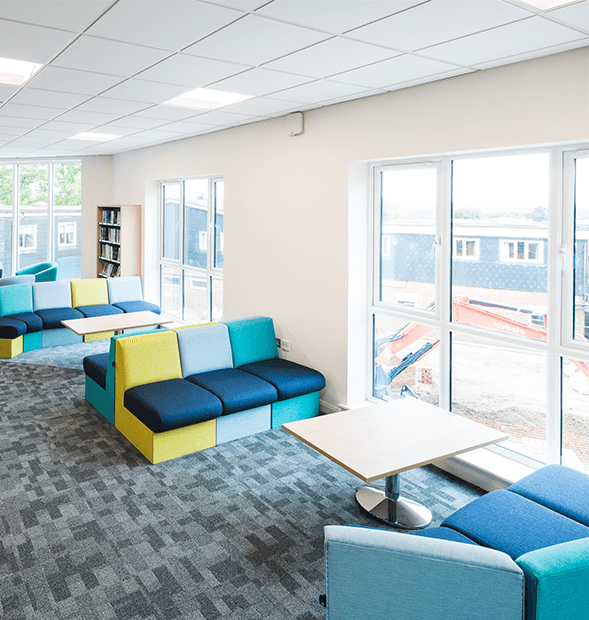 The Aspect seating was situated next to the full-length windows to allow the students access to the scenic view. We completed the library with a curved reception desk with some graphics. 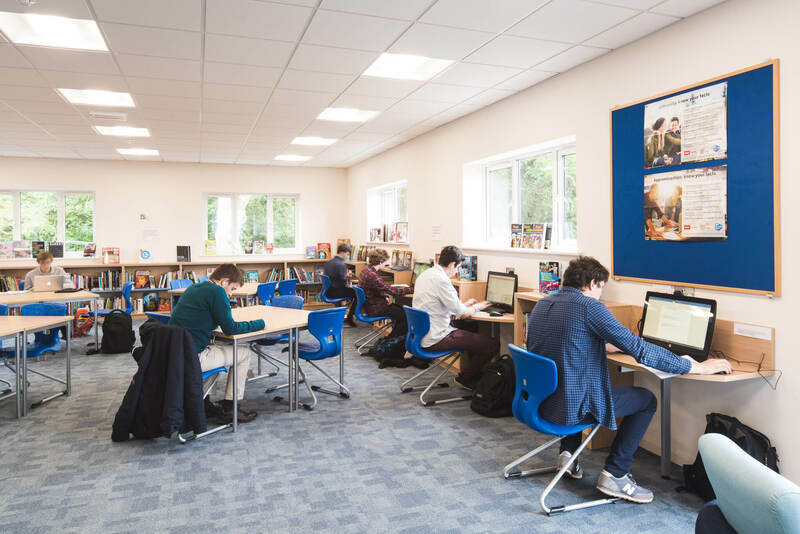 Within the desk we incorporated a book return system and behind it we installed Capacity Storage units to store the laptops. A book scanning counter was fitted along one of the central walls. 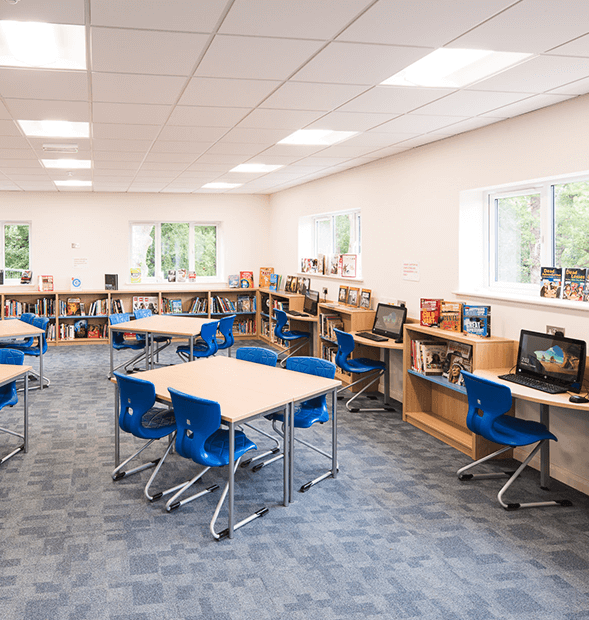 We hope the students will enjoy reading and learning in their new library!